The Colorado Blues Society is looking for parties interested in competing for the “Best Self-Produced CD” (BSPCD) of the year. 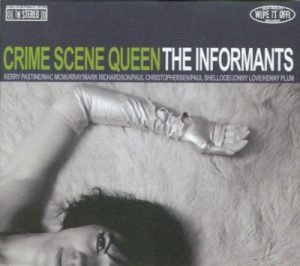 In 2010, the Colorado Blues Society submitted the Informants “Crime Scene Queen” which went on to take 1st place in the Blues Foundation National Awards! ● Entries for the Best Self-Produced CD are permitted by affiliated blues societies only. ● Each affiliate is permitted one entry only. ● The CD entered does not have to be performed by the band entered in the International Blues Challenge. ● The eligibility period is the same as for the Blues Music Awards-the CD must have been released during November 1, 2017 – October 31, 2018 time frame. A panel of judges will judge the CDs on the following criteria: 1) Blues Content, 2) Musical Performance, 3) Audio Quality of the Presentation, 4) Cover Art and Design, and 5) Credits and Liner Information. Compilations are not eligible. Recordings with established or “known” producers within the industry are eligible as long as the recording is on the artist’s independent label and not on an established national blues label. Should the entrant win the competition they will need to provide 4 additional CD’s to send on their behalf to Memphis.